Renuka Chowdhury Fairwell Speech: Venkaiah Naidu makes weight remark, speech ends in a funny banter! Congress MP Renuka Chowdhury farewell speech turns into a funny banter. "Reduce weight, increase the weight of Congress," Venkaiah Naidu funny remarks. Congress MP Renuka Chowdhury is the center of the news. Surely for all the funny reasons. “My simple suggestion is, reduce your weight and make efforts to increase the weight of the party”. The exchange evoked peals of laughter in the House, which witnessed several light moments during the farewell speeches of retiring members who are about to complete their tenure. In another such moment, Chowdhury recalled that during her political journey in the Upper House, she was fortunate for being “the entire Opposition’s united candidate to contest against Najma Heptullah for the Deputy Chair here”. “A lot of women has not improved tremendously. It is a pathetic 11 percent even now (women’s strength in Rajya Sabha). I really think we need more women,” she adds to her cause. 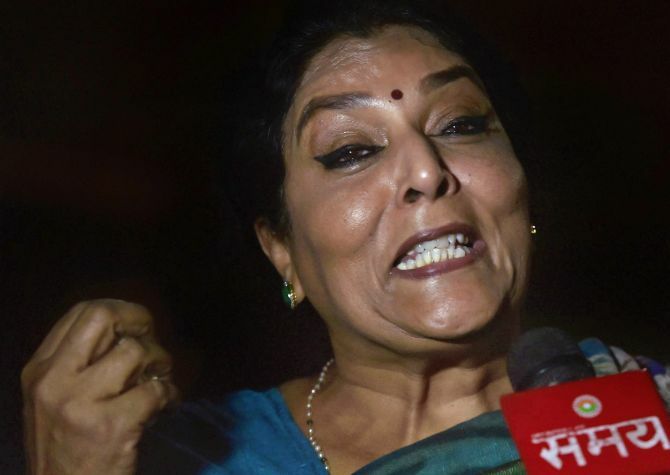 In February, Prime Minister Narendra Modi had taken a dig at Congress lawmaker Renuka Chowdhury during his speech in the Rajya Sabha, comparing her loud laughter in the House to that from Ramayana, leaving her fuming. While, even though Modi did not take names, the exchange fuelled numerous memes on social media. With people surely speculating that Chowdhury had been compared to Supranakha from Ramayana series. Renuka Chowdhury also alleged discrimination against women members of Parliament. She quit by calling for a change in the mindset and urged the ruling dispensation for early passage of the Women’s Reservation Bill.